The last time I made a conscious effort to win over potential BFFs I was an awkward, eager 18-year-old—one of about 2,000 college freshman looking for the same thing—so I was feeling a little rusty when I started this search. But when you cannonball into the friend-dating pool, you learn a lot…fast. So, here, the strategies I’ve developed so far. Call it Friend Finding (Woman Wooing?) 101. The first five tips were included (in more detail) in an essay I wrote about a month ago. The others are new. All 10 may seem obvious, but I’ve found that the no-brainers are the easiest to forget. 1) Facebook is there for a reason. You may have 50 online friends who live in your area but whom you’ve only met once. I subscribe to the belief that if we can be virtual friends, we can be the face-to-face kind. Reach out to anyone in your Facebook network (or MySpace or Friendster, if those sites even still exist) you think might have potential. Utilizing the Facebook message system gives your approach a casual feel before you take the friendship offline. 2) Make the first move. If you’re a woman who’s used to being wooed, you might forget that friend-dating isn’t the same as romantic dating. If you defer to the potential BFF to ask you out, you could be waiting forever. Every girl likes brunch. Just invite her for an omelette. 3) Tell your old friends you’re in the market for new ones. After I started this blog, a long-distance friend sent me the names of three girls she knew in Chicago. When I asked her why she hadn’t told me about them earlier, she said she’d figured I already had my own crew. Lesson learned. 4) Make the second move, too. The rules of friendship may call for reciprocation, but until you are actual friends, rules don’t apply. 5) Join, join, join. I’m in two book clubs. I’ve done cardio hip hop and yoga classes. I want to start a ladies poker game. I’m even toying with the idea of joining Weight Watchers (lots of girl dates=lots of wine and cheese). 6) Be up for adventure. It’s easier to create an insta-bond when you’re both outside your comfort zone. Plus, you’re more likely to create a memory at a roller rink or fortune teller than a diner. 7) Give second chances. First dates, any kind, can be awkward. If someone you weren’t so keen on asks you to get together again, say yes. One more date can’t hurt, and it might turn out that she doesn’t truly have a potty mouth, she just curses like a sailor when she’s nervous. 8 ) Listen. I used to be so worried there’d be uncomfortable lulls in conversation that whenever a friend-date spoke, I’d be working on my next line instead of hearing what she was saying. Nothing says “I’m a good friend who listens” than being a good friend who listens. Referencing something she said earlier does not go unnoticed. 9) Admit your girl crush. We all just want to be liked. If you really feel like there’s a mutual connection, some breezy version of “Oh we’re totally going to be BFFs!” at the end of the date isn’t scary, it’s endearing. 10) Assume others are looking for the same thing. Everyone wants good friends. Don’t present yourself as the sad sack who can’t find anyone to play with at recess. No, you’re the strong independent woman who wants to expand your social horizons. Own it. Did I miss anything? Think any of my tips are off-base? Got advice of your own? Do tell! I like rules. Not the “Be home by midnight” kind or the “You’re not allowed to go the homecoming party” kind. (What, just because I was 14 and the party, which was in Manhattan, would be dripping with alcohol and pot, and my father, the Assistant Principal, sent letters to all the parents warning them of the dangers of this annual event, just because of these minor factors I had to stay home watching Boy Meets World while my friends were likely hooking up with seniors? It was, like, so unfair.) But I like rules of thumb. Easy maxims I can live by. It’s hard to follow too many rules at once, and mine are constantly changing. Matt gets a real kick out of my kicks. He’s been known to scream, to no one in particular, “She’s on a new kick!” when I tell him whichever rule is the latest. Like when I gave up caffeine, or declared Slow Cooker Sundays, or vowed to share three good things that happened that day before going to bed each night. There are a gagillion books dedicated to the rules of dating, but I’ve been trying to track down some friend-making rules. Guidelines I can adhere to, today, to help me find my BFF. This is where you want to tell me that building relationships is personal and must be handled on a case-by-case basis, I know. But still, I want a roadmap. The other day I had a wonderful conversation with Shasta Nelson, the founder of GirlfriendCircles.com. It’s a site that sets women up in small groups to meet and hopefully make friends. We talked about how it’s often easy to go on a first friend-date, but the follow-up is tricky. Do I call the next day? Email? How soon is too soon to ask her out again? Can I strike the right balance between friendly and needy? It’s like I got married and was then promptly thrown back in the dating pool. Before she started the site, Shasta was a life coach. She told me that she’s found—anecdotally, not scientifically—that women need to see each other twice a month for three months before they consider each other friends. This is a rule I can get on board with. There’s no one in Chicago I’ve seen that often other than family, Matt and coworkers (probably why I’m sitting here typing this up instead of watching Project Runway with my Chitown BFF. Duh). My book clubs are once a month, which seems pretty often. But it makes sense that I’d need to up that if I want to take a friendship to the next level. So I’m adding this to the rulebook. Now, when I meet someone promising, I’ll hear Shasta in my head and make the effort to get a second date on the books within 30 days. Love it. Do you think Shasta’s rule has merit? Are there any friendship rules you live by? Or any rules you live by at all (I’m always looking to add to my collection)? Or is life about going with the flow and I just need to lighten up? A quick housekeeping note: I was lucky enough to write two blog guest posts this month. The first, at The Friendship Blog, introduces my search…and has a photo! The second, at Embracing the Detour, is about choosing to move to Chicago when my career dreams were in New York. The blogmaster over there said of this blog, “It’s fun, it’s witty, it’s heartfelt. A trifecta of bloggy awesomeness.” This makes me want to marry her. Thanks so much to Irene and Lauren for hosting me. A coworker asked me last week if my closest friends—the ones in New York, Boston, San Fran and beyond—are upset about my search. Her closest friends all live near each other, mostly in rural Illinois, and she said if she embarked on this quest, they’d get jealous. My friends are certainly not bothered. Just the opposite, really. They’re thrilled. They’re my best friends—isn’t that what it means to be a BFF? To encourage the other’s passion? To be supportive, not envious, when she takes a big scary leap into the unknown? And to be confident enough in your relationship that you don’t discourage new ones? My closest friends want me to be happy, not lonely, and they’re all perfectly aware that they don’t live in Chicago. Sure, they’d love to be the ones to join me for a bite or drive me to the airport when Matt can’t, but that would entail them moving here, which isn’t exactly in the cards (no matter how hard I try to woo them away from their shoebox Manhattan apartments with Chicago’s space-to-dollar ratio). When I started this project, Sara and Callie (the lifelong BFFs) sent flowers to my office. The card read: “You are a rock star! We are so proud of you. We’ll always be your oldest and most admiring BFFAEs.” (Best friends forever and ever, that is. It’s fifth grade lingo.) I know. They are some friends. You can see why I’m struggling to find people who compare. Over the past week I’ve wondered why my coworker’s friends might react badly if she, too, were to start a BFF search. I haven’t asked her about this since that conversation seven days ago, but it seems fairly obvious that if they would be annoyed or jealous, then they must be really nervous about her moving out to the big city and forgetting about them. Maybe they think she’s outgrowing them; maybe they’re scared she might replace, rather than supplement, them. Jealousy in friendships is a very real thing. Maybe it shouldn’t be, but who are we kidding? My own moments of BFF insecurity are strongest, strangely enough, when I’m actually with said best friends. Out here in Chicago, it’s hard to truly know what I’m missing. But when I go to a high school friend’s wedding and see how close everyone still is and hear them talk about friends of friends—new additions to the group I’ve never even met—I get more than a tinge of envy. I should be a part of this. That new kid should want to know me. And suddenly I’m so busy wishing I was more a part of things that I’ve forgotten to enjoy the time when I’m actually able to be a part of things. I know that old friends grow geographically distant as we grow up. It’s something I have to get used to. But when you’re one of the only people who has left, it’s hard not to feel like you’re missing out. My coworker’s friends aren’t crazy at all. I still think that if anyone in that scenario (which I really know nothing about and probably have no business blogging about) should be jealous, it’s my coworker. But I’m sure there’s something very real to the fear that a friend is moving up and moving on. Plus, she’s getting married soon, which seems to spark a whole different set of will-she-love-him-and-forget-about-me fears, to be discussed another day. Does there come a time when friendship envy (frenvy?!?) ceases to exist? Or is jealousy a universal emotion that we just handle better as we age? Am I a complete lunatic for admitting that there are times I feel left out, as if I was still on the school playground rather than the frontlines of the real world? I’m ok with the admission, because the truth is that my BFFs won’t be surprised to hear it. They know I’m a little bit crazy, and, somehow, they love me anyway. She Liked Me, She Really Liked Me! Last Friday, I blogged about a blog about… me. I’d gotten drinks with a potential friend a few nights earlier and the next day she friended me on Facebook (“to friend” is a verb now, right? Did I use that correctly?). While engaging in some very important office procrastination social networking, I happened upon her blog. And even though it’s out there, like this blog is, for all the world to see, something about reading it felt sneaky. Like I was getting a deeper glimpse into her psyche than I was supposed to after only one outing. Of course, I forgot about any stalker-esque guilt I might’ve had when I saw that her most recent post was about our BFD (that’s her term, short for Blind Friend Date). She wrote about how she was nervous and hoped I was normal and that the whole thing didn’t feel too job interviewy (I had the same concerns). So I posted about her post about me. And now it’s getting even more meta as I’m posting about her post about the unnecessary nerves of her first post, which I wrote about in Friday’s post. Follow? The moral of the story is: I passed! To quote my new potential friend: “Our time was fun, easy and interesting. Nothing like a job interview, or even like a real blind date, where there might be awkward lulls or uncomfortable staring contests across the table. I was sad she does not watch Lost but happy that she was up to snuff with celebrity gossip. I could not share her affinity for Survivor (still!) but we both got excited talking about all things wedding-related (I am engaged, she got married not too long ago).” For the record, Survivor is still really good. This season is one of the best in a while. When it comes to TV, as with friends, I am loyal to the core. I do not give up just because Jeff has yelled “Come on in, guys!” more times than I can count. Now that I’ve read two of her blog posts, which were—shockingly, I know—about more than just me, I feel like I’m starting to really know this woman. Which brings up an issue I’ve been curious about: Do Facebook and blogs and Twitter and LinkedIn and the like make it easier for us to make new friends, or harder? I see how it might be easier in the sense that, if you’re Facebook friends, you can get to know a potential BFF pretty well before you’ve even met. You might know her favorite books or TV shows. You might’ve seen pictures from her wedding. If she’s a frequent status updater, you might know what she did last summer. Or last night. Suddenly you’ve fast-forwarded through the awkward could-we-be-friends stage and have arrived at the meat of friendship building. All of that said, I don’t really believe it. Because as my brother once observed, “Everyone knows that everyone else Facebook stalks. But you don’t just admit it!” I may know exactly how many weeks pregnant someone is, but to say “how’s week 27 treating you?” before we’ve met face-to-face seems creepy. So I check out her profile and she reviews mine, but then we meet and pretend to know nothing. And I’m no actor, so it would be a lot easier if I actually knew nothing. Does technology help us connect with others? Or does it just allow us to have a boatload of superficial relationships—I have 500 facebook friends!—while hindering our ability to connect on deeper levels? I lean toward the former, but here I am blogging, so I’ll register as undecided for now. If you’ve gotten to know me through my last 12 posts, you’ve probably come to learn that I’m a huge nerd (in the most lovable way, of course). If you’ve known me forever and read these posts because you are both fascinated by my every written word and you want to support everything I do, well then you’ve likely known about my nerdiness for some time. Either way, it won’t surprise you that when I read that Scholastic is bringing back The Babysitter’s Club next month, I was elated. The famed Ann M. Martin will be writing a prequel—The Summer Before will trace the lives of the inaugural BSC members, well, the summer before—and the publisher will be bringing back the first two volumes of the series, which, in its 14-year run had 213 titles total (if you count the Super Specials, Kristy’s Little Sister books, et al). I’m a bit worried that bringing back only the first two won’t be enough to get kids hooked—early set-up novels are never the best in a series, which is why I still get crazy when someone tells me they started reading Harry Potter but couldn’t get through it. That invariably means they’ve only read the first two—but it’s a start. Books #3-5 are scheduled for re-issue later next year. There was a time when I collected all of these books. I can still picture them lined up, in numerical order, in the upper left section of my childhood bookshelf. Then, like all stupid kids, I told my mom it would be fine to get rid of them. I was too old for kid books, anyway. Until I wasn’t, and I went searching in Barnes & Noble, only to find that they were out of print. The Babysitter’s Club is one of the earliest examples of pop culture completely skewing my expectations of friendship. I read the stories of Kristy, Mary Ann, Stacey, Claudia and related to each of them—Kristy’s a tomboy! Mary Ann’s shy! Claudia loves candy!—and thought there was absolutely no reason why I shouldn’t host my own BSC. Why shouldn’t my BFFs come over every other day for half an hour? And of course we should start a small business. And sure there would be fights but everything would get worked out in about 200 pages. The BSC was a fearsome foursome long before anyone had ever heard of Carrie Bradshaw and her merry band of horny pals (until California girl Dawn came along and they became a fivesome. And then came the alternate officers…) Over the course of the series, and the Disney Channel show (whose theme song is currently playing on repeat in my head), and the movie, I developed an expectation of what friendship should be. In my youth, that expectation was reinforced by Blossom and Six, Beaches, Sweet Valley High, Kate and Allie, even Cory and Shawn (yes they were boys, but they were BFFs of the highest order). I didn’t just want but I expected to have that one friend with whom I was attached at the hip. I’m only half-embarrassed to admit I vividly recall the trip my elementary school BFF and I took to the mall to buy “Blossom hats” and fight over who got to be Six (Jenna Von Oy was so much cooler than Mayim). Cultural models of relationships start early. Even when we’re young, it’s impossible to avoid outside influences on how our families should behave (like the Huxtables, of course, or the Von Trapps), what our parent’s marriages should look like (like the Huxtables, of course, or the Von Trapps), or what our friendships should entail. Did any pop culture BFFs give you unrealistic expectations of friendship? 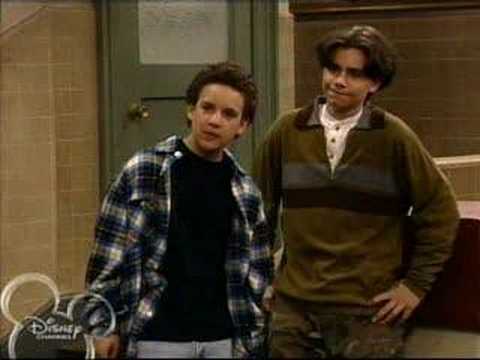 Are there TV or movie friendships that you once tried to emulate? Clearly someone out there still yearns to go to Central Perk. Do tell!